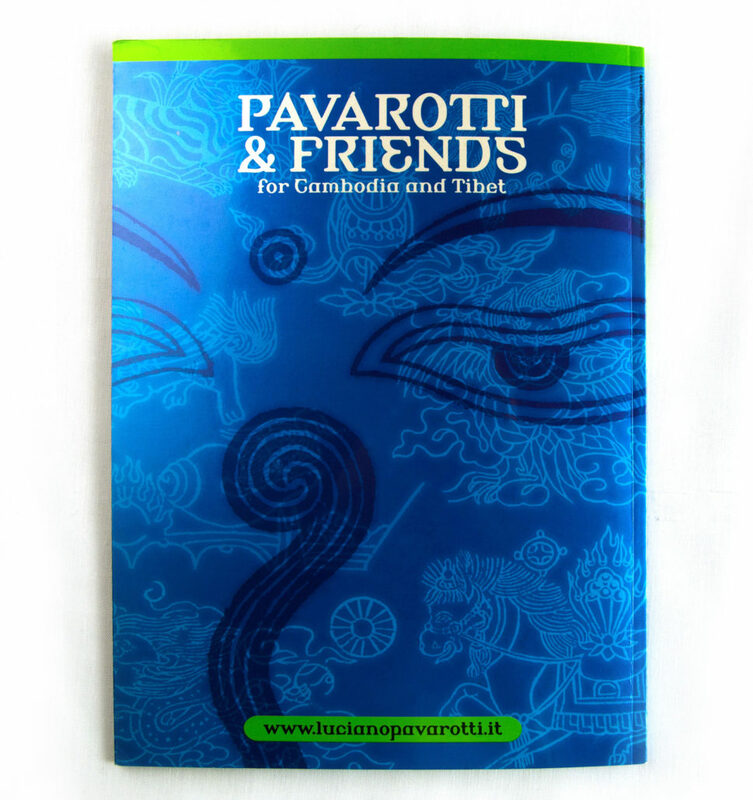 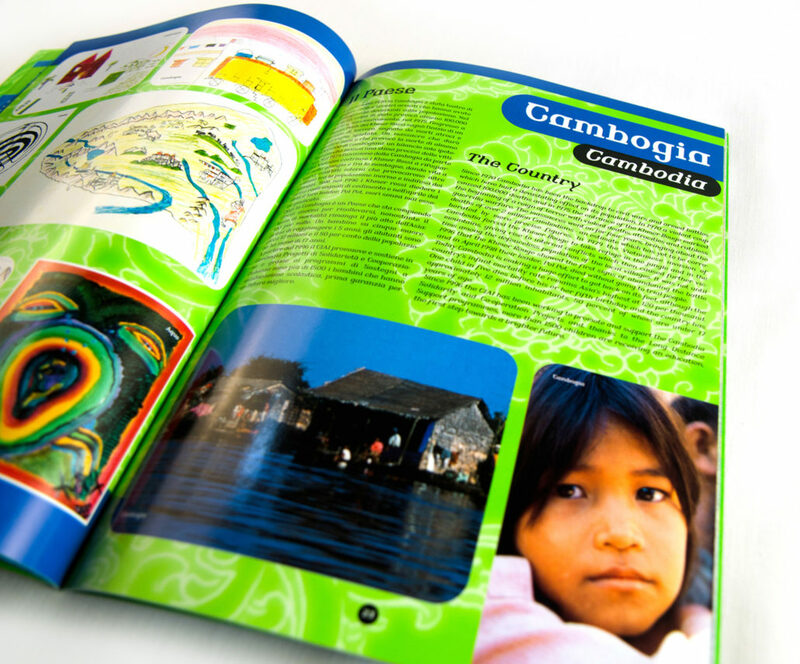 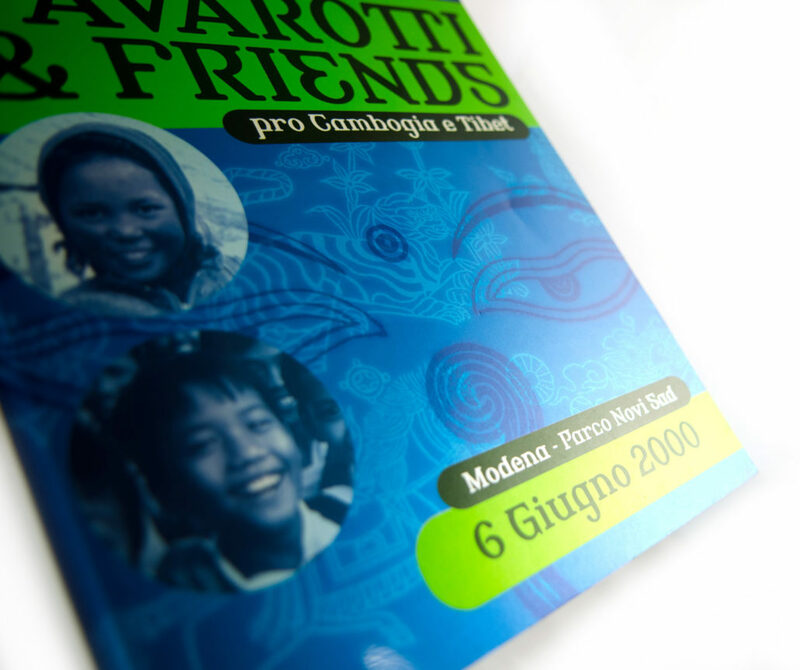 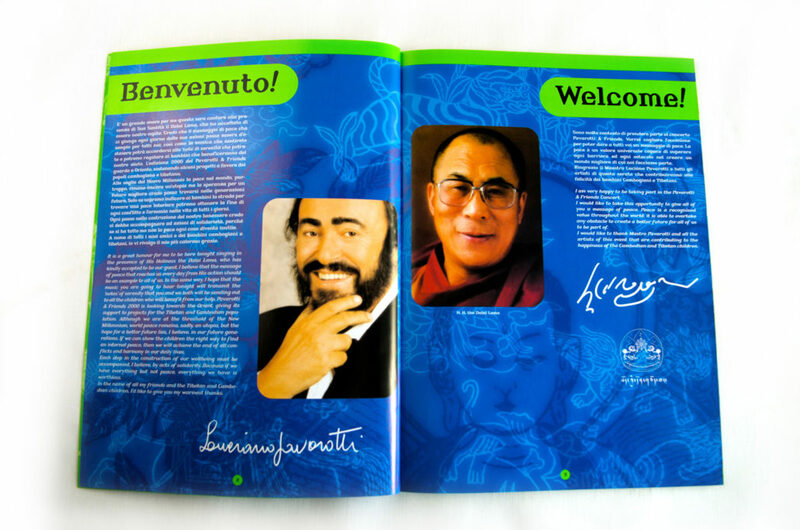 Creative consulting for communication integrated for the event “Pavarotti & Friends for Cambodia and Tibet”. 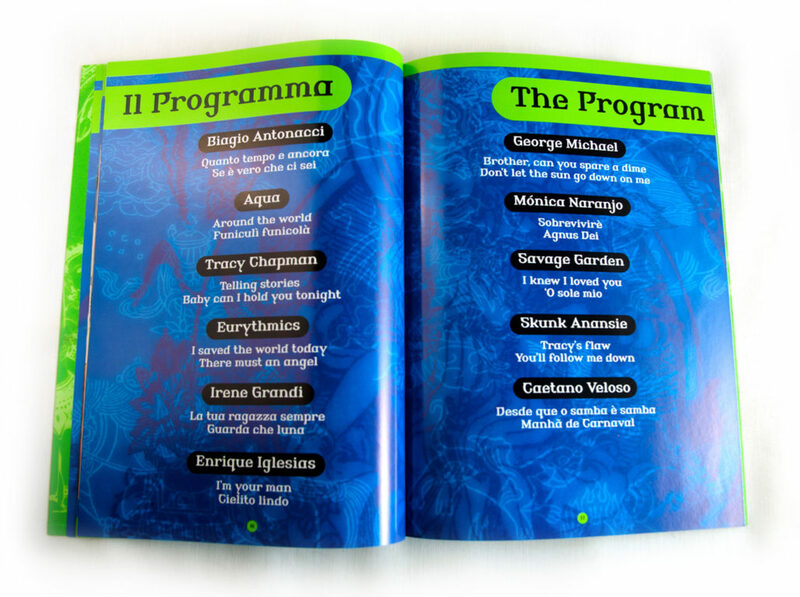 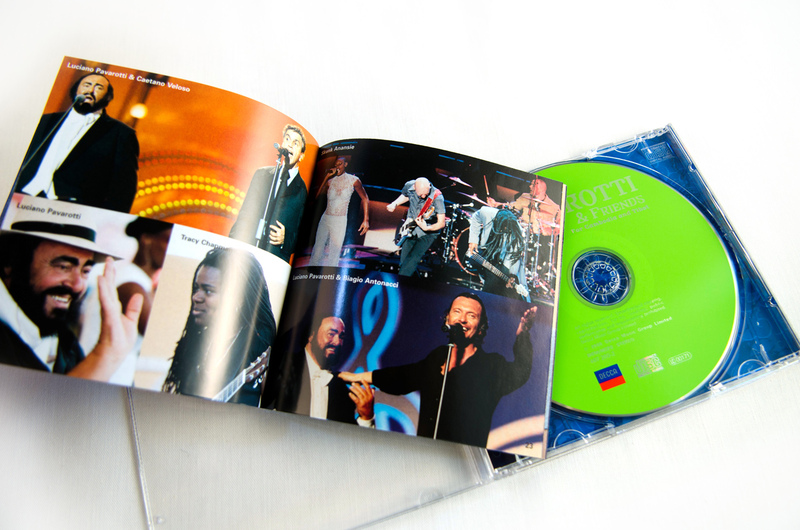 Logo | Poster | Catalogue | ADV | Ticket | Pass | CD compilation. 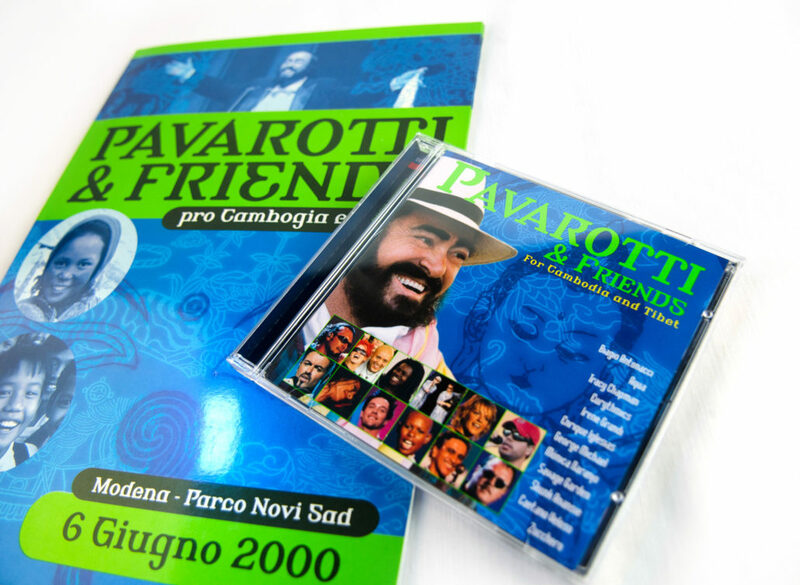 The 2000 edition of Pavarotti and Friends comes from a concert given at Pavarotti’s home town of Modena. 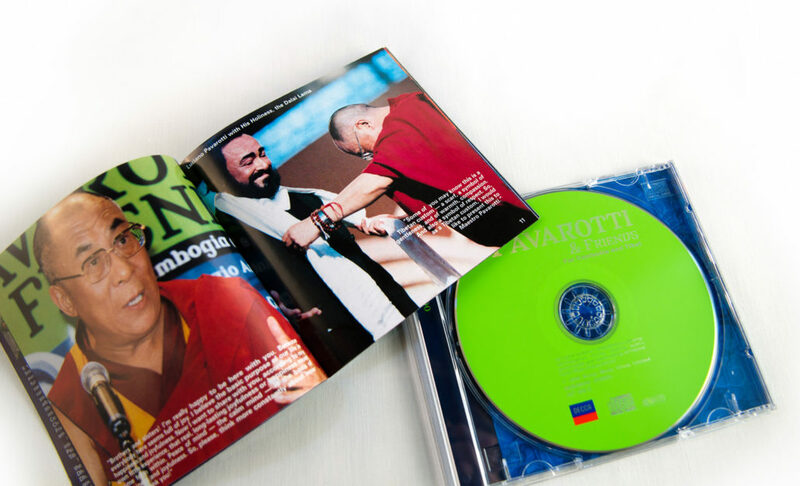 The guest of honor was the Dalai Lama, and the money raised by the concert and the disc were for relief work in Cambodia and Tibet.